A brighter future is in your hands. We’re currently seeking an Associate Account Manager (AAM). 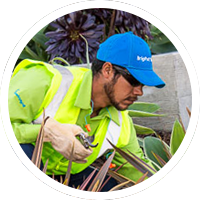 The Associate Account Manager (AAM) serves as the primary contact for BrightView clients. They build and sustain long-term relationships, focusing on both client retention and ancillary sales, while providing oversight for field operations. The Associate Account Manager works with clients within a Senior Account Manager’s portfolio. Develop and maintain long-term relationships with customers. Develop and maintain a schedule to perform “site walkthroughs” during formal meetings with customers to ensure quality and service expectations are met. Lead and facilitate or assist in the resolution of customer problems or concerns. Proactively present site enhancement ideas to existing customers. Ensure renewals of each assigned account within the customer portfolio. Identify and pursue opportunities to sell ancillary services. Ensure a safe environment for employees, customers and the general public. Generate referrals from existing client base and communicate to Business Developer. Develop accurate estimates and takeoffs for both new and existing clients as needed. Communicate regularly with Production Manager to ensure client needs and expectations are consistently met or exceeded. Manage service delivery to specified scope of work. Ensure branch financial goals met by maintaining acceptable gross margins for both base contract work and ancillary services. Coordinate consistent and timely site visits with Production Manager. Participate in branch meetings and assist Senior Account Manager in overall leadership of Client Service Team. Maintain satisfactory Accounts Receivable levels. Coordinate with Branch Administrator to ensure branch databases consistently updated with current client information. Other tasks and duties as assigned by Branch Leadership. 2 or 4 year degree in a business-related field or equivalent experience in a service industry.